Don’t let the toys take over! 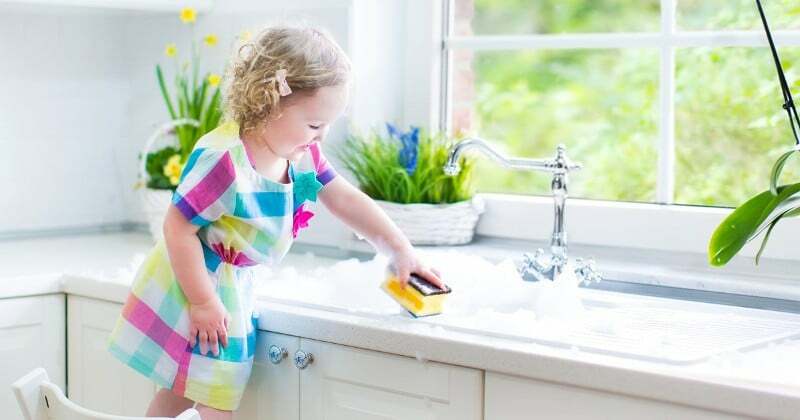 Organize your kids’ playroom with these clever DIY Toy Organization Ideas for kids’ bedrooms and playrooms. Anyone else feel like the toys are taking over?! Our playroom needs a serious overhaul (and probably a nice purge), and some new DIY Toy Organization Ideas STAT! 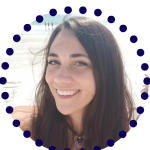 I wanted to share some fun and cool DIY Toy Organization ideas, that I fully intend on using, so you could get your toy clutter sorted out too! Just click on the corresponding link to get the full tutorial. 1. 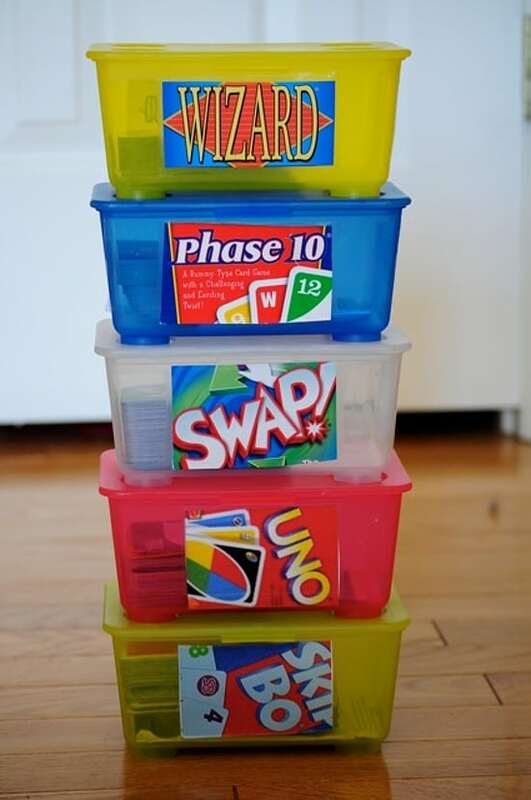 Keep card games safe so that you can find all the pieces by giving them each their own container. Full tutorial at Jazzie and Tahlia. 3. 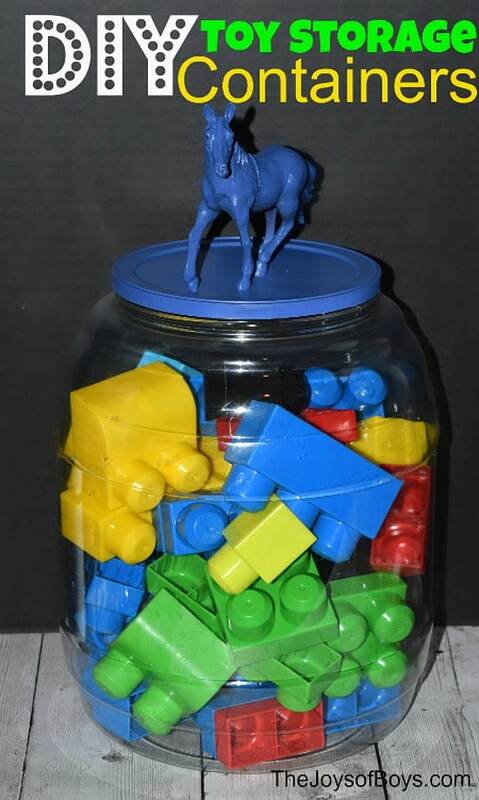 Make fun storage containers for storing small toys. Full tutorial at The Joys of Boys. 4. 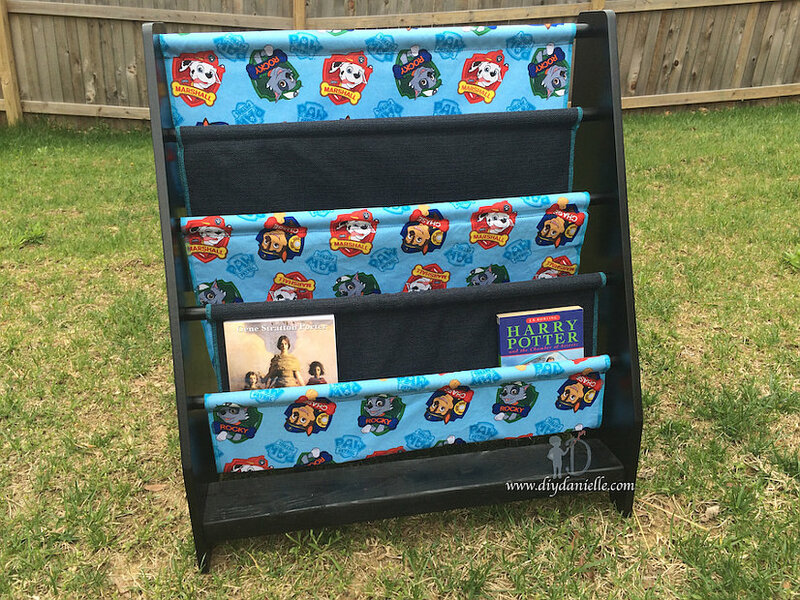 Give the playroom a makeover with cubby shelves and bins. Full tutorial at Kenarry. 5. 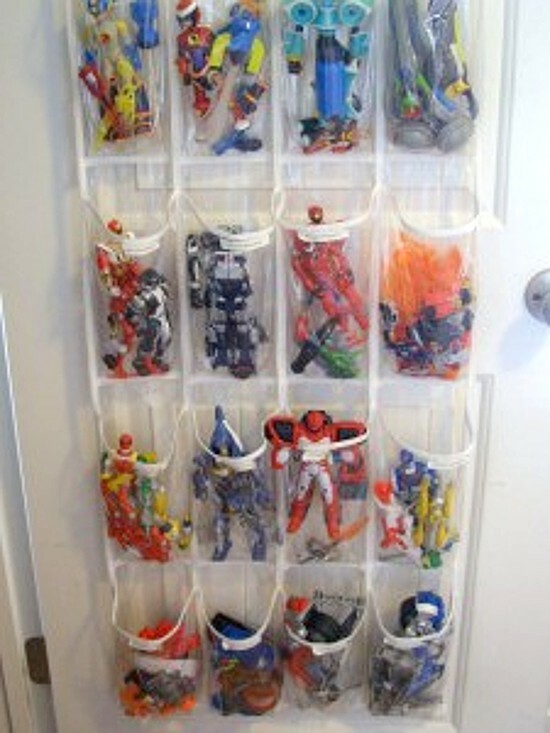 Store action figures, Barbies, and dolls, in a shoe organizer. Full tutorial at Organize and Decorate Everything. 6. 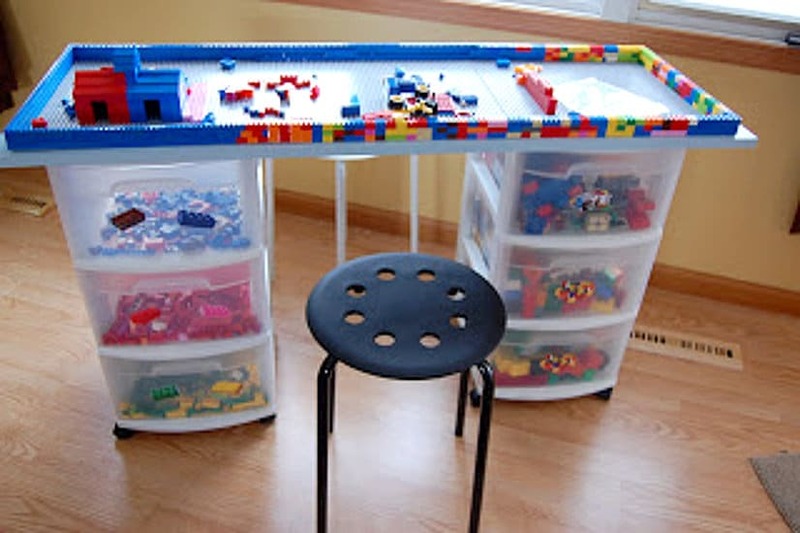 DIY your own Lego desk, complete with storage and a Lego table. 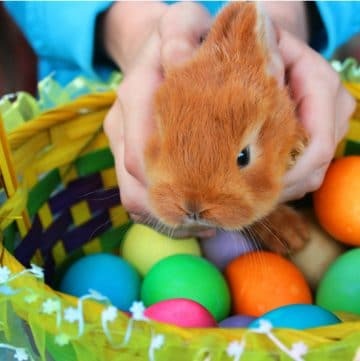 Full tutorial at Our Wee Family. 7. Keep all the pieces to a puzzle in its own pencil so they don’t get lost or broken. Full tutorial at The Navy Stripe. 8. 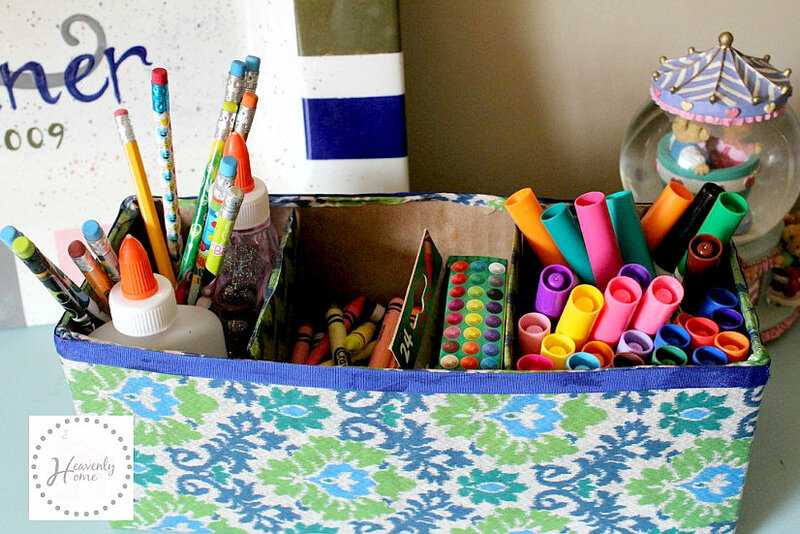 Revamp an old cardboard box to hold art supplies. Full tutorial at Our Heavenly Home. 9. 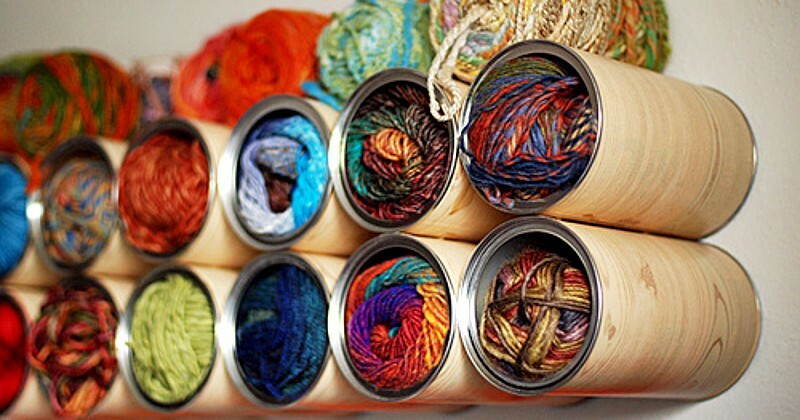 Turn an old can into the perfect storage spot for small toys. Full tutorial at Organized 31. 10. 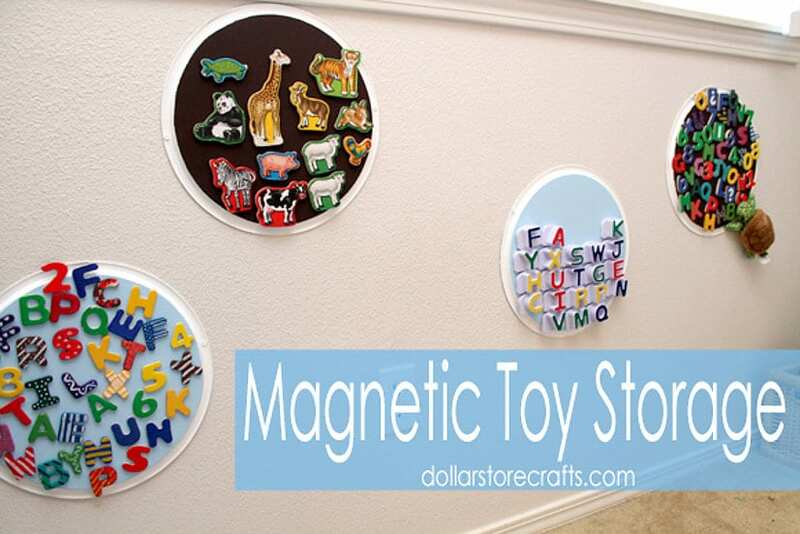 Keep magnets off the floor and easy to find with this easy wall storage idea. Full tutorial at Creative Green Living. 11. 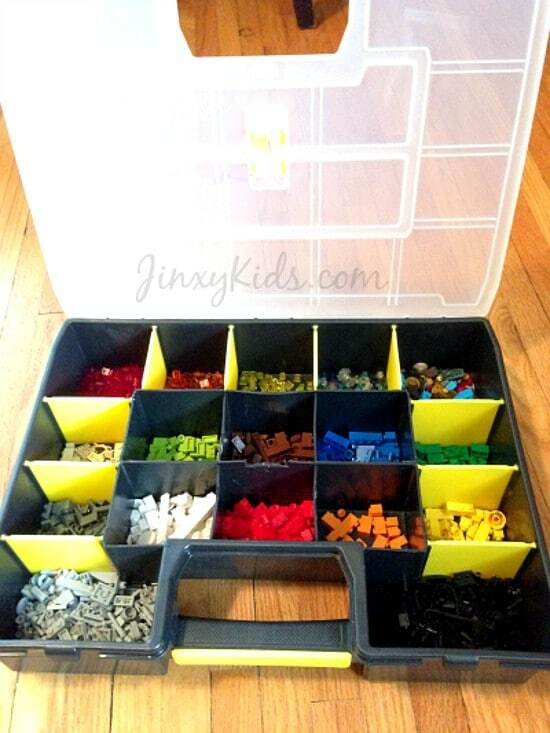 Store Legos in an old toolbox or tackle box. Full tutorial at Jinxy Kids. 12. 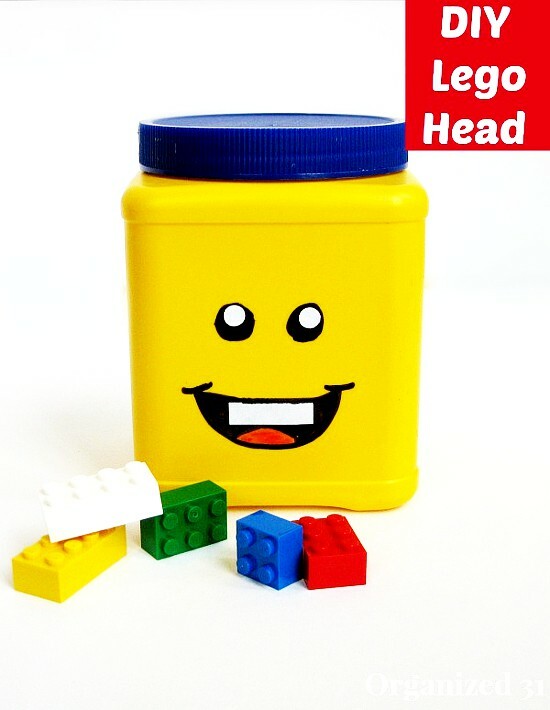 Or make this adorable Lego head to store them in. Full tutorial at Organized 31. 13. 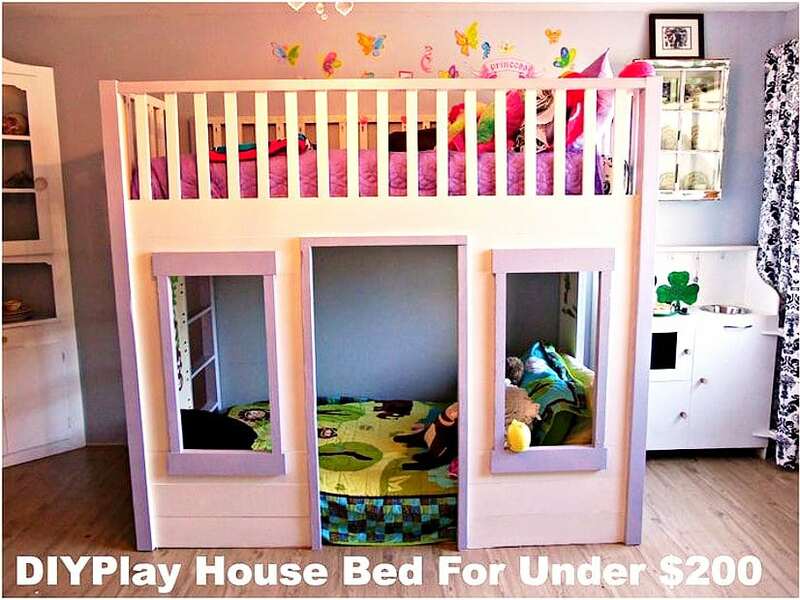 Turn their bedroom into a house of their own. 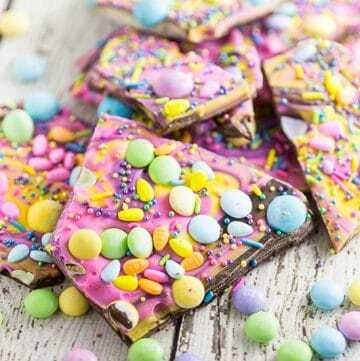 Full tutorial at Thrifty Northwest Mom. 14. 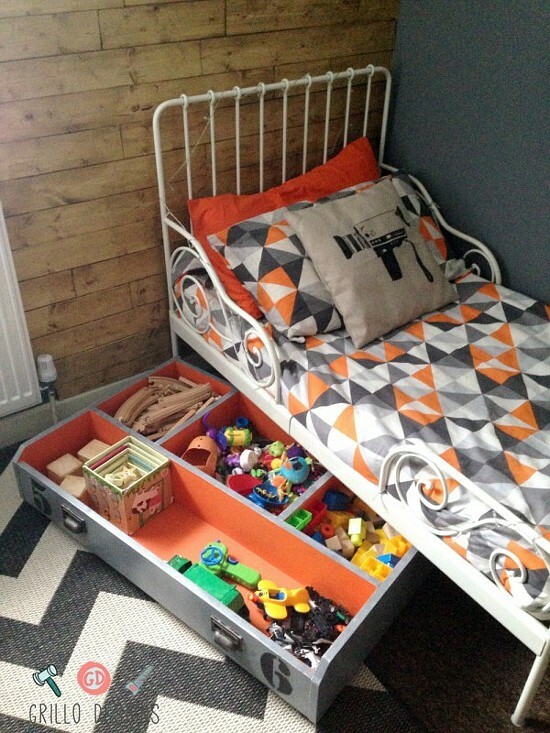 Make an under-the-bed storage drawer for any bed. Full tutorial at Grillo Designs. 15. 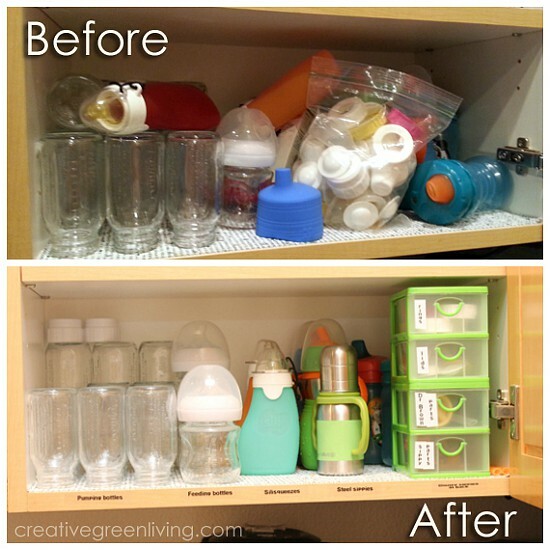 Get those bottles and sippy cups in order with these few simple tricks. Full tutorial at Creative Green Living. 16. Makeover a cheap thrift store find into a customized, adorable book sling. Full tutorial at DIY Danielle. 17. 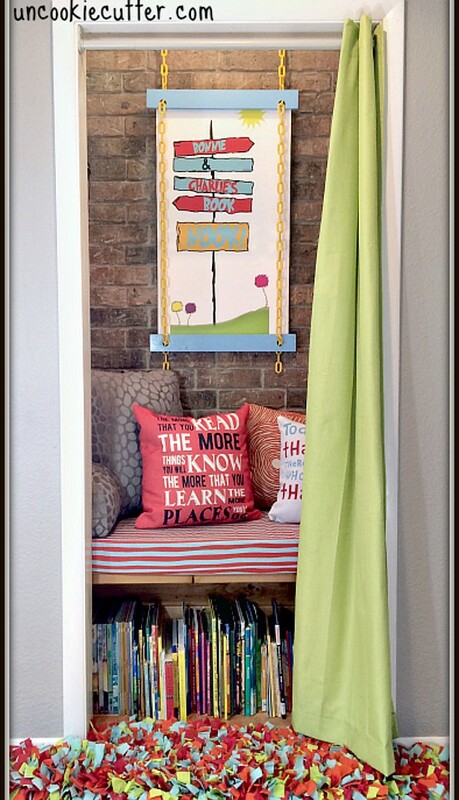 Turn an unused closet into a private Book Nook for the kids. 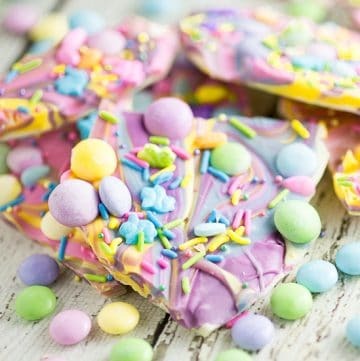 Full tutorial at Uncookie Cutter. 18. 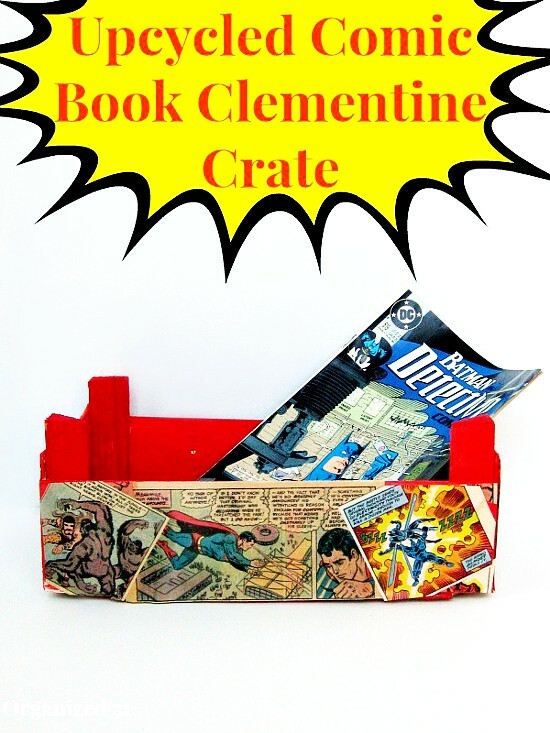 Upcycle an old crate into a stand for books and magazines. Full tutorial at Organized 31. 19. 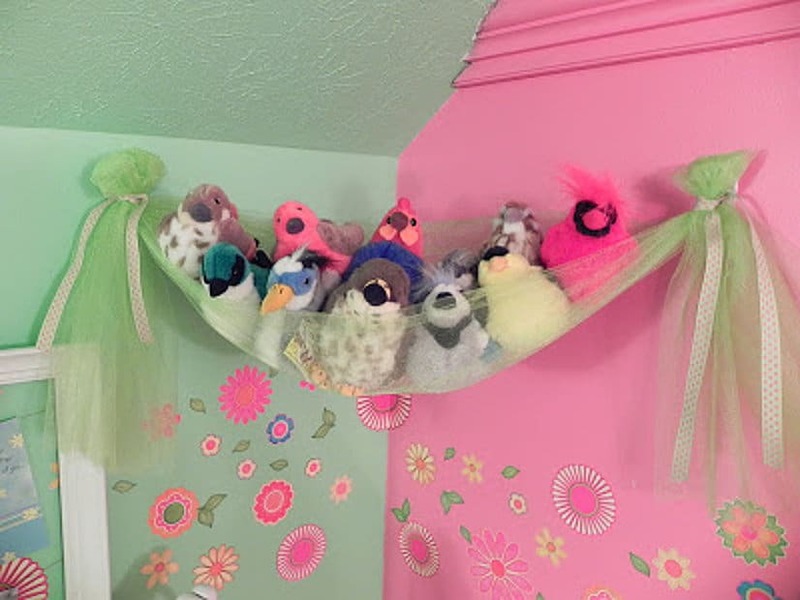 Wrangle the stuffed animals with this easy fabric sling. Full tutorial at Shady Tree Diary. 20. 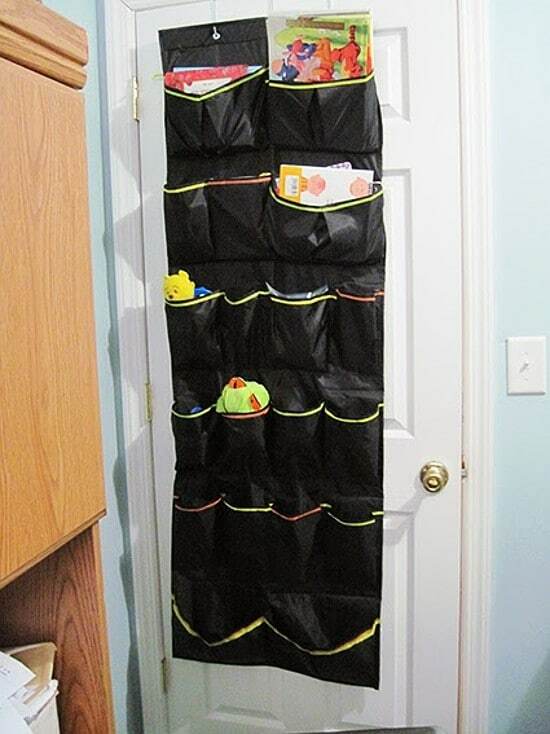 Turn a shoe organizer into a fantastic toy storage solution. 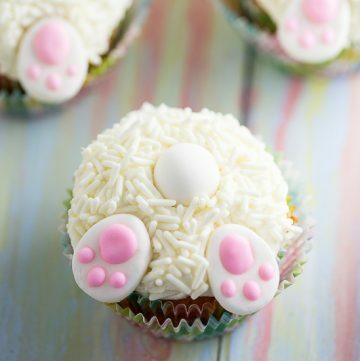 Full tutorial at Moms and Crafters. 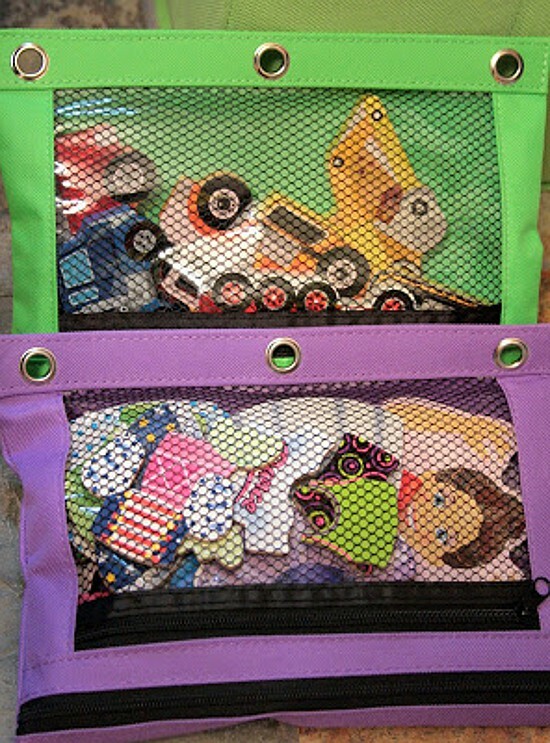 What’s your best Toy Organization tip? 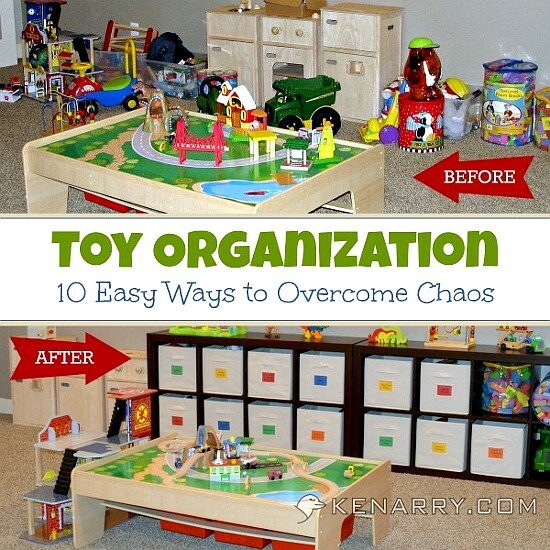 Did you like these DIY Toy Organization ideas? 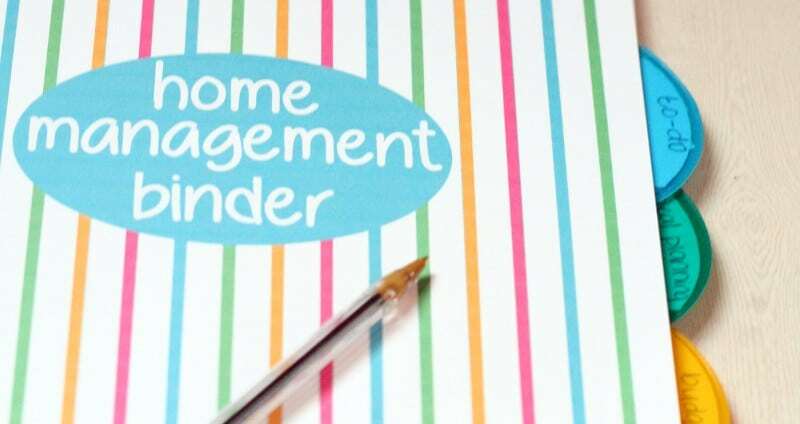 Find more on my Kids Organization & Decor, Organization, and Parenting boards on Pinterest! 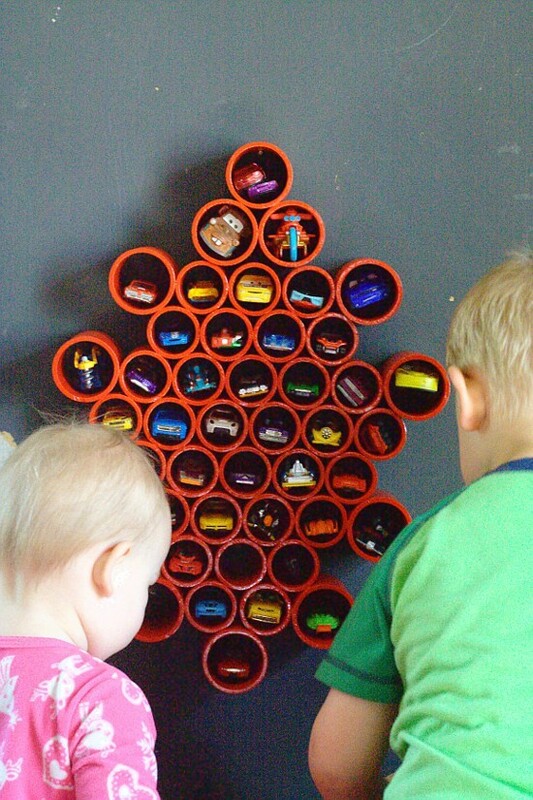 What creative toy storage idea. Pinning now. 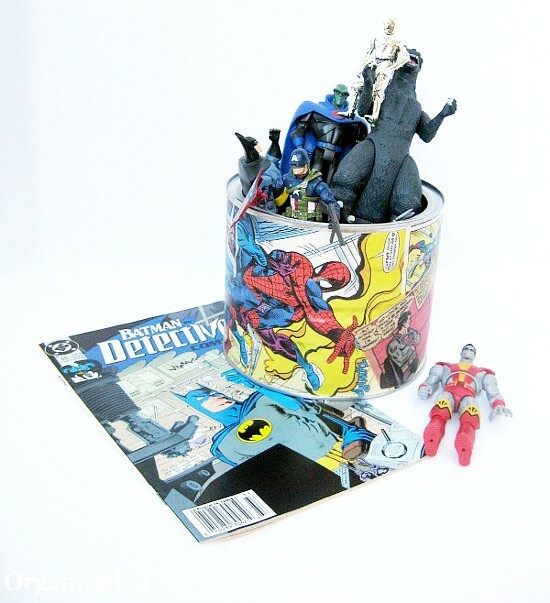 And thank you for including my comic book can, Comic book crate and DIY LEGO head projects.